Lead generation is an important factor for getting sales. No matter what type of business you are in. Grabbing new clients is quite essential for the growth of any business. But it is pretty hard to generate leads especially if you are new to business. An organization may have several goals to accomplish but most of the organization focuses on lead generation. Lead generation tools can help you in surviving your business as it gives new revenue streams. You may able to generate handsome revenue by focusing on your existing customers, but you are just running your business not getting rapid success or growth. If you want to grow your business you must focus on new strategies for customer retention & acquisition. Remember, the organization that focus on lead generation do more than just survive, they are totally in to growing their business. What are Lead Generation Tools? Basically, lead generation tools are a platform which helps you to connect to your potential customers or users. There are plenty of methods available for generating leads some of the well known technique includes Email marketing, social media marketing, (SEO) search engine optimization, SEM (search engine marketing) Telemarketing etc are some of the best lead generation techniques or you can say tools you can use to nurture leads. Promotion or advertise is the most obvious way to generate leads Apart from these techniques there are several tools available in the market to generate leads. Email Marketing: This is an old school technique but still serve as the most important technique for generating leads. Basically it is automation for sending thousands of mails with in just a click. But before making such steps, you should be aware of can spam act. It’s very important to understand the complete email campaign process. It helps many businesses to get their potential customers. So sending personalized email to any of your user is the best way to create the positive impact on the lead generation process. 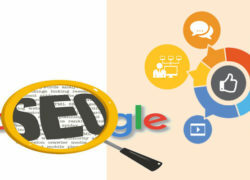 Search engine optimization: Being it B2B lead generation or B2C lead generation, it has been proven as the best technique that you ever heard for generating leads. Though there are different aspects in SEO from creating a user friendly website to building links, this technique help you to generate leads directly from the search engine like Google, Yahoo, and AOL. It needs some focus and dedication to increase your visibility. Once you get visitors on your site encourage them to subscribe your website or contact them through phone. This is somehow hectic but one of the best technique for grabbing new leads. This is the most effective technique which gives you long term benefits. 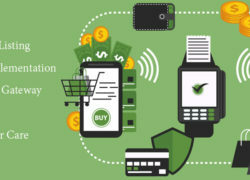 PPC Advertisements: Basically a paid technique which helps you to promote your product or services in front of your potential customers or buyers. Social Media Marketing: Nowadays everyone is fond of social media like Facebook, Twitter, and Linkedin etc. This is a great technique to find your potential buyers over here. Very easy technique to get leads as with a single click you can spread awareness about your product or service in front of thousands of people around the globe. Some of the features like group, community you can able to reach thousands of people in a single click. But needs to follow various lead generation strategies, which will create an impact on social media. Sites like Facebook, Linkedin and Twitter are also offering features like paid advertisements where you can showcase your product or service in front of potential customers. Apart from the above techniques there are various paid tools or CRM available which can provide you enrich leads though it is not a long term solution and also very costly affair to generate effective leads. Such tools would help cutshort a lots of manual process. Some of the most popular tools are Linkedin sales navigator, Salesforce, Hubspot, Marketo. You may not able to grow your leads instantly but with consistency you will definitely improve your leads. 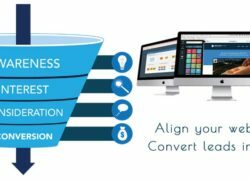 These hacks having been proven to work and many successful business and industries by various lead generation companies for using this to acquire leads and convert them in to potential customers. Hi to all, it’s genuinely a nice for me to pay a visit this website, it contains precious Information.